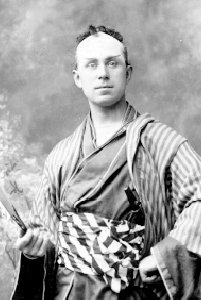 Kenningham, Charles (1860-1925): After a musical career as singer and organist, Charles Kenningham made his stage debut at the Adelphi in 1852. He sang Duvalor in F. J. Haydn Millar’s operetta Mariette’s Wedding. He joined the D’Oyly Carte Company in 1891.